Motorcycle glasses are not an accessory, but a necessity. The blinding light of the sun and the dazzling reflections are enemies of the motorcyclist and potential sources of danger. 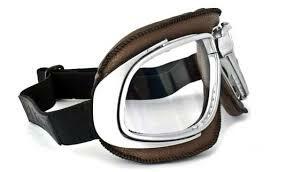 Motorcycle glasses should be synonymous with safety and comfort. The Bertoni motorcycle technical glasses mount anti-shock lenses, built with durable and lightweight materials, windproof and comfortable wraparound frames, special goggles to be worn under the helmet and with a wide variety of lenses designed for all visibility conditions. Bertoni is a leading brand of sports glasses born from more than two decades of experience of our technicians in the field of sports-optics. For some time now, Moto Bertoni glasses have been highly appreciated in the cycling bike environment due to their ability to combine style, design and elegance together with the latest technological advances in the field of eyewear: materials, protection and visual comfort. All glasses are designed with attention to every detail and have been developed for each specific sport such as: motorcycling, cycling, free flight, motorsport, fishing, water sports, skiing, golf, beach volleyball, horse racing, tennis, shooting on the fly and other sports disciplines. The models meet the highest standards in terms of quality, durability and visual comfort, all of them officially certified. Unrrival is the exclusive distributor of BERTONI Eyewear for the Iberian Peninsula (Spain, Portugal and Andorra).